On this Maundy Thursday we are happy to share a talk given by Bishop Athanasius Schneider on the Eucharist. The address, delivered in Italian last year in Rome, was translated by Donna F. Bethell, chairman of the board of directors of Christendom College, in Front Royal, Virginia. Her translation was approved by the bishop, and given to Rorate for the benefit of readers as the universal Church celebrates the institution of the Eucharist at Mass today. We ask that you share the content as a meditation on Holy Communion, but with credit to the translator and source. May you, your parishes and your loved ones have a blessed Triduum. "The Treasure of the Altar: The Ineffable Majesty of Holy Communion"
The Council of Trent teaches us: "Our Lord Jesus Christ, proclaiming himself a priest for ever according to the order of Melchizedek (cf. Ps 109: 4; Heb. 5:6), offered to God the Father his body and his blood under the species of bread and wine and under the same symbols gave to the apostles to take. ...He celebrated, in fact, the old Pasch ...[and] instituted the new Passover, namely himself, that has to be offered by the Church through his priests under visible signs. ...And St. Paul says (1 Cor 10:21) that those who are contaminated by participating in the table of demons cannot attend the Lord's table, table meaning in both cases the altar" (Sess. XXII, chap. 1). Christ sacramentally anticipated the offering of the sacrifice of the Cross on the table of the Last Supper. The visible altar of the Church, the Catholic altar, therefore also represents the table of the Last Supper. However, in the proper sense the Catholic altar indicates the Cross and the rock of Calvary, because the Eucharistic sacrifice is not properly the actualization or sacramental representation of the Last Supper, but of the sacrifice of the Cross, and is the "sacrament of the sacrifice of the Cross." During the golden age of the Church Fathers we find the expression "sacrament of the altar" as a designation for Holy Communion, especially in the writings of St. Augustine (cf. Serm. 59, 3, 6). To emphasize the truth that Holy Communion is the fruit of the true sacrifice that takes place on the altar, St. Augustine said in one of his sermons: "Nos de cruce Domini pascimur, quia corpus Ipsius manducamus" (Serm. 9, 10, 14): "We are fed from the cross of the Lord, for we eat His body." Inviting neophytes to approach the altar with fear and trembling to receive Holy Communion, the saintly Bishop of Hippo recalled that they receive the sacred food from the Cross: "Hoc agnoscite in pane, quod pependit in cruce; hoc in calice, quod manavit ex latere" (Sancti Augustini sermones post Maurinos reperti: Miscellanea Augostiniana I, 19): "Acknowledge in the bread what hung on the Cross, and in the chalice what dripped from his side." St. Basil of Cesarea designated the distribution of Holy Communion with the expression "to give the sacrifice" and to receive Holy Communion as "receive the sacrifice" (cf. Ep. 93). Receiving Holy Communion is at once a confession of the truth of the sacrifice of the Cross. So taught the Council of Trent: "Our Lord ... leaving a memory of His wonders (Ps 110:4) commanded us, when we receive Him, to honor His memory and to proclaim His death until He comes" (Sess. XIII, Sec. 2). It is the mystery of transubstantiation that makes possible the union with the sacrifice of Christ, not only by means of faith and love but also through the consummation of the victim present under the sacramental signs (cf. Journet, Ch., Le Mystère de l'eucharistie, Paris 1981, p. 57). At the moment of Holy Communion the radiance of the bloody Cross is among us, though wrapped in the sweetness of the liturgical rite (cf., ibid.). Cardinal Journet admirably sums up this truth, saying: "All the drama of the Cross and bloody redemption of the world are transmitted in the ineffable silence, in sweetness, in the peace of the non-bloody sacrifice" (ibid., p. 71). In his meditations on the Gospel, Bossuet described in these words of high mysticism the intimate connection between the sacrifice of the Cross and Holy Communion: "So you are my victim, my Savior! But if I were to limit myself to contemplate your altar and your Cross, I would not be quite convinced that it is to me, it is for me that you will offer yourself. But now that I eat, I know, I sense, so to speak, that it is to me that you offer yourself ... If you have offered yourself to me, then, it is a sign that you love me, because who gives his life for anyone if not for his own friends? I eat in union with your sacrifice; consequently, with your love: I enjoy your love entirely, for all its vastness; I perceive it as it is: I am penetrated. You come to put this fire in the bowels, that I love you with a love like yours. Ah! I see now and know that you have taken this human flesh for me; that you have endured infirmities for me; that you have made the offering for me; it is mine. I just have to take it, eat it, own it, unite myself to it. You were made incarnate in ​​the womb of the Blessed Virgin, but you have not taken a single flesh: now you take the flesh of us all, mine in particular: you take it to yourself, it is yours: you make it like your own with your contact, with your action: first of all pure, holy, undefiled; afterwards, immortal, glorious: I will receive the character of your resurrection, provided I have the courage to receive that of your death" (Meditazioni sul Vangelo. La Cena, 23, cited in: Esposizione del dogma cattolico. Conferenze. Vol. XII. Eucaristia, Turin-Rome 1950, 176, n. 10). The Council of Trent teaches us: "The sacrament of the Eucharist is no less worthy of worship because it was instituted by Christ the Lord to be taken as food. We believe it is this same God, of whom the eternal Father, introducing him into the world, said: worship him all the angels of God (Heb 1: 6) "(Sess. XIII, Ch. 5). The same council warned (cf. Sess. XIII, Ch. 8) that all the faithful must always be mindful of such great majesty and incomparable love of Christ, who gave us His life as the price of our salvation and His flesh as food: "memores tantae Maiestatis et tam eximii amoris Iesu Christi Domini nostri" ["the remembrance of such Majesty and the incomparable love of our Lord Jesus Christ"]. The famous French Dominican preacher G. Monsabré spoke these moving words of the majesty of Christ at the time of Holy Communion: "It is certainly an honor for us to receive so great a guest, and is not too much to summon all our powers and our virtue to celebrate and worship, when, under the humble robe that covers his majesty, he sends his angels to knock at the doors of our soul. Attolite portas! Lift up your gates! they say, and the King of glory will come in: Et introibit rex gloriae (Ps. 23: 9). The doors open and our petty nature becomes, for Communion, the palace of the King of eternal glory: you can bow down before a communicant, as before a tabernacle "(Esposizione del dogma cattolico. Conferenze. Vol. XII. Eucaristia, Turin-Rome 1950, 174-175). In his encyclical and testament Ecclesia de Eucharistia, St. John Paul II emphasized the inherently sacrificial and highly sacred and adorable aspect of the Eucharistic banquet, that of Holy Communion: "If the idea of the 'banquet' inspires familiarity, the Church has never succumbed to the temptation to trivialize this 'intimacy' with her Spouse by forgetting that he is also her Lord and that the 'banquet' always remains a sacrificial banquet marked by the blood shed on Golgotha. The Eucharistic Banquet is a truly 'sacred' banquet, where the simplicity of the signs conceals the unfathomable holiness of God: 'O Sacrum Convivium, in quo Christus sumitur!' The bread which is broken on our altars, offered to us as pilgrims journeying along the roads of the world, is 'panis angelorum,' the bread of angels, which cannot be approached except with the humility of the centurion in the Gospel: “Lord, I am not worthy that you should come under my roof” (Mt 8.8; Lk 7:6). 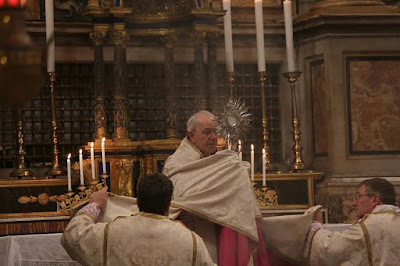 With this heightened sense of mystery, it is understandable how the faith of the Church in the mystery of the Eucharist has found historical expression not only in the demand for an interior disposition of devotion, but also through a series of outward forms meant to evoke and emphasize the grandeur of the event celebrated " (Nos. 48-49). The ineffable majesty of Holy Communion is an infinite majesty, as the sacramental body and blood of Christ are united hypostatically to the second Divine Person. The mystery of the Eucharist, particularly Holy Communion, is designated in the patristic writings frequently with the terms "sacramenta Caelestia" ("heavenly sacrament") and "mensa mystica" ("mystical table"). With the qualifiers "Caelestia" and "Mystica" the Fathers of the Church wanted to indicate the ineffable and Divine majesty inherent in the body and blood of Christ in the sacrament of the Eucharist and especially in the reception of Holy Communion. The expressions "heavenly gifts" or "mystical gifts" were synonyms for Holy Communion. This Divine majesty present in the mystery of the Most Holy Eucharist, however, is a hidden majesty. Under the Eucharistic species is "Deus maiestate absconditus" ["the hidden God of majesty"]. St. Peter Julian Eymard, a modern apostle of the Eucharist, spoke notably on the truth of the hidden majesty of Christ in the Eucharistic mystery. He left us admirable reflections such as this: "Jesus with a veil covers his power because otherwise I would be afraid. He covers with a veil his holiness, the sublimity of which would discourage our few virtues. A mother talks to her child in a childlike way down to his level. In the same way Jesus makes himself little with the little to elevate them to Himself. Jesus hides his love and warmth. His ardor is such that we would be consumed if we were exposed directly to its flames. Ignis consumens est. The fire is consuming. God is a consuming fire. In this way the hidden Jesus strengthens us against our weaknesses. ... This darkness [of the hidden majesty] requires of us a very worthy sacrifice, the sacrifice of our intellect. We have to believe even against the testimony of our senses, against the ordinary laws of nature, against our own experience. We have to believe only in the mere word of Jesus Christ. There is only one question: "Who is there?" -- "It is I," replies Jesus Christ. Bow down and worship Him! ... Instead of being a test, this veil becomes an incentive, an encouragement to have a humble and sincere faith. Man wants to penetrate a veiled truth, discover a hidden treasure, conquer a difficulty. Similarly, the faithful soul searches for the Lord in the presence of the Eucharistic veil as Magdalene searched at the tomb. The Eucharist is to the soul what God is to the blessed in heaven: a truth and a beauty ever ancient and ever new, which man does not tire of scrutinizing and contemplating. Just as in this world love lives from happiness and desires, so also the soul is happy and desires happiness through the Eucharist; the soul eats and is still hungry. Only the wisdom and goodness of our Lord could invent the Eucharistic veil" (The Real Presence. Eucharistic Meditations, New York 1938, 92-94). You receive a treasure only with clean hands and often with hands covered with a veil or with gloves. If this already applies to a material treasure, should it not apply all the more to the greatest treasure that exists here on earth, that is, the treasure of the altar, the body and blood of Christ in the Eucharistic species? There is no other way to approach the Divine majesty, but with a pure soul, humble and loving. The Eucharistic liturgy and especially the time of reception of Holy Communion therefore require simultaneously an external worship of utmost reverence, an inner purity that is called the state of grace, and a psychological attitude of keen attention and exquisite delicacy. Our time is marked by an unprecedented and widespread liturgical and Eucharistic crisis due to the practical negligence of the truth that the Eucharist, that is Holy Communion, is the treasure of the altar of the Cross and ineffable majesty. Therefore the following admonitions of Trent remain relevant today more than ever: "No other action taken by faithful Christians is so holy and so divine as this tremendous mystery, in which each day that life-giving host, by which we were reconciled with God the Father, is sacrificed by priests to God on the altar, and it is equally clear that you must use every effort and diligence for it to be celebrated with the greatest purity and inner transparency and an outer attitude of devotion and piety " (Sess. XXII , Decretum de observandis et vitandis). The Council complains that many elements foreign to the dignity of the sacrament have been introduced, and for the purpose of restoring due honor and worship, states that the bishops will take care and are required to prohibit and eliminate any irreverence that has been introduced, which is hardly separable from impiety. This appeal of the Council of Trent remains relevant even today, when liturgical and Eucharistic irreverence has reached frightening proportions. The Dominican theologian A.- G. Sertillanges stated that the centrality of the Eucharistic mystery ought to be unequivocally reflected in architecture and in rite: "The entire Christian church is oriented towards the tabernacle: naves lead us to the tabernacle, and the apses crown it, the domes cover it ... the plan of the building is in the form of a cross to remember the place where the sacrifice is made"(L'Eglise, Paris, 1931, I, 267-268). 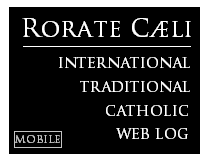 The same idea has been formulated in a concise and admirable expression from the famous theologian of the Eucharist M. De La Taille: "Sicut igitur Ecclesiarum nostrarum aedes in orientem solem spectant ita et Sacramentorum nostrorum agmen Totus tutusque Cultus christianus atque ecclesiastica disciplina respicit ad Eucharistiam, in qua visitavit nos Oriens ex alto" ["Therefore, as the buildings of our churches look toward the sun in the east, so the flow of our Sacraments, the whole and secure Christian Cult and ecclesiastical discipline look to the Eucharist, in which the Orient from on high has visited us"] (Mysterium Fidei, Paris 1931, 575). To emphasize the truth that the Eucharist is the true treasure of the altar, the image of the Crucifixion must again be combined immediately with the altar, and this image should be a salient and dominant feature. The image of the Crucifixion should not be put between the priest and the people, otherwise the figure and the face of the priest inevitably become the focus of attention. The eyes of the priest and the people are instead facing the same direction towards the dominant image of the Crucifixion. And this will help because with the inner eyes all present are more conscious that they celebrate the sacrifice of the Cross, from which they receive the true treasure that is the body of Christ in Holy Communion. To emphasize the ineffable majesty of Holy Communion, we must where possible reintroduce altar rails, which are already in themselves a silent appeal to all communicants to greet and receive the Divine hidden majesty in the moment of Holy Communion with the spontaneous gesture of kneeling, that is of corporal and visible humility. Saint Peter Julian Eymard said: "In the worship of God, everything is great, everything is divine. ... The Holy Roman liturgy is therefore supremely august and authentic. It comes from Peter, head of the apostles. Each pope kept it and passed it with all respect to the subsequent centuries, knowing how to add in conformity with the needs of faith, piety, and gratitude new formulas, offices, and sacred rites. ... The faithful who know how to respect the spirit of the liturgy and its ceremonies, will continue to live the virtues and the love of those who during the mortal life of the Savior were His first worshipers. Liturgical worship is the exercise par excellence of all religion "(Direttorio degli aggregati del Santissimo Sacramento, Ch. II, art. V, n. 1). In all ages the true renewal of the Church depends on correct and full faith in the Eucharist and, consequently, on correct and full Eucharistic rite. The following solemn words of Blessed Paul VI remain of great currency especially for our time: "The sacred signs of the Eucharist ...indicate Christ present as he is living in eternal glory, but here represented in the act of his sacrifice, to show that the sacrament of the Eucharist in a bloodless way reflects the bloody sacrifice of Christ on the cross, and makes those who worthily feed from the Body and Blood of Christ, veiled in these signs of bread and wine, participants of the benefit of redemption. So it is. So it is. ... We say this also to dispel some uncertainties that have arisen in recent years by trying to give elusive interpretations to the traditional and authoritative doctrine of the Church in a matter of such importance. Then we say this to invite all of you to fix your attention on this ancient and ever new message that the Church still repeats: Christ, alive and hidden in the sacramental sign that he offer to us, is really present. ... The Eucharist is mysterium fidei, the mystery of faith. Light most vivid, light most sweet, light most certain for those who believe; rite opaque to the non-believer. Oh! How decisive is the Eucharistic theme carried to this decisive point! Those who accept it, choose. Choose with the vigorous conclusion of Peter: "Lord, to whom shall we go? You have the words of eternal life "(Jn. 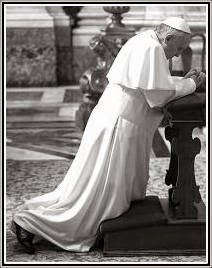 6, 68)" (Homily at the Eucharistic Congress in Pisa, June 10, 1965). Faith in the treasure of the altar and in the ineffable majesty of the Eucharist must not remain only in the realm of theory, but be reflected and incarnated in appropriate and unambiguous gestures and elements of liturgical architecture. The following liturgical prayer from the Coptic Rite can strengthen us in this truth: "Amen. Amen. Amen. I believe, I believe, I believe. Until the last breath of my life I will confess that this is the life-giving Body of Your only Son, our Lord and our God, our Jesus Christ. He took this body from our Lady and our Queen, the most pure Mother of God. He has joined it to his divinity. I believe that his divinity never, not even for a moment, was separated from his humanity. He has been given for the remission of sins, life and eternal salvation! I believe, I believe, I believe that it is all so!" (Quoted in: Journet, Le mystère de l’Eucharistie, op.cit., 54).